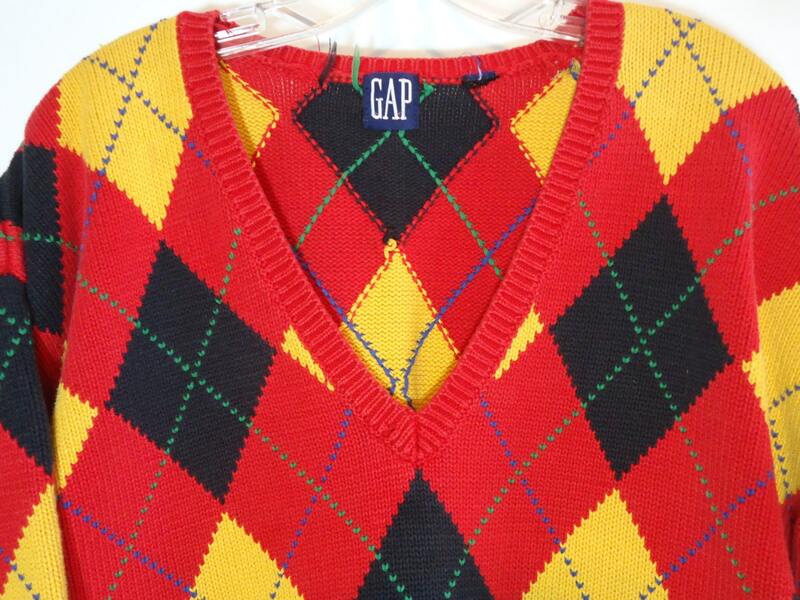 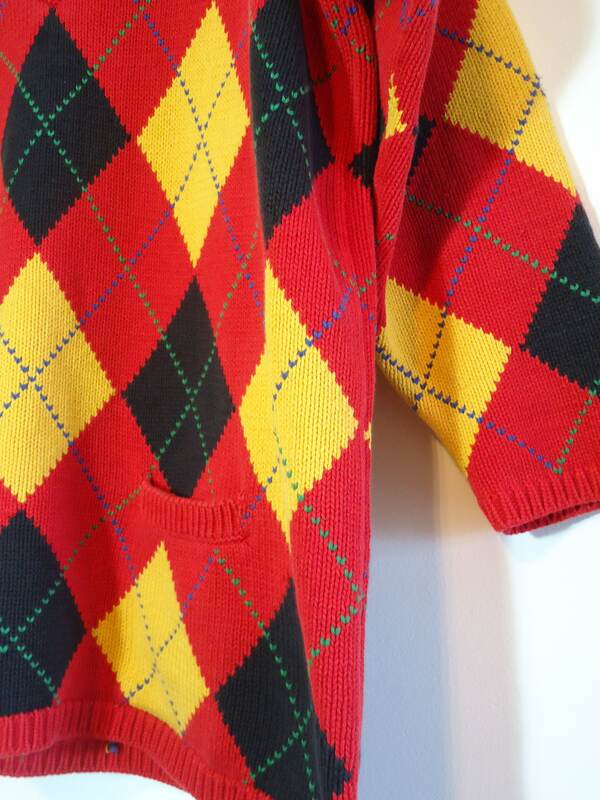 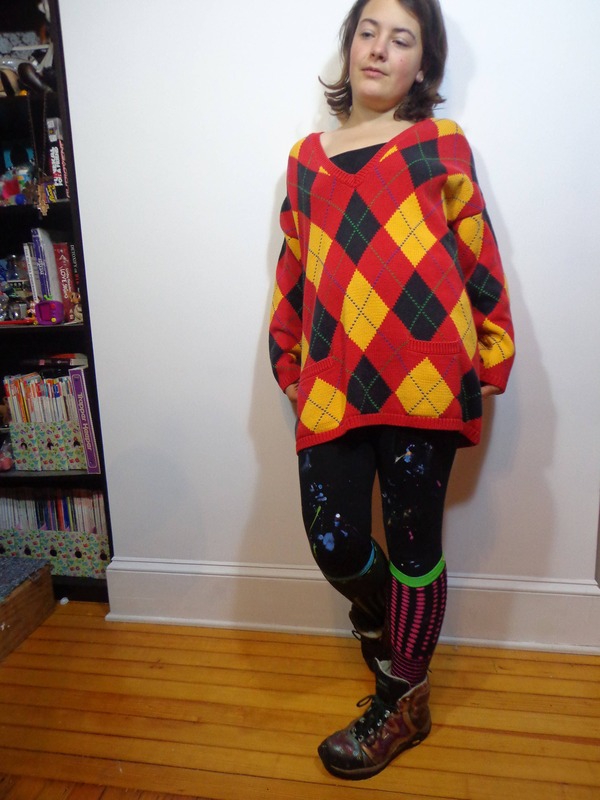 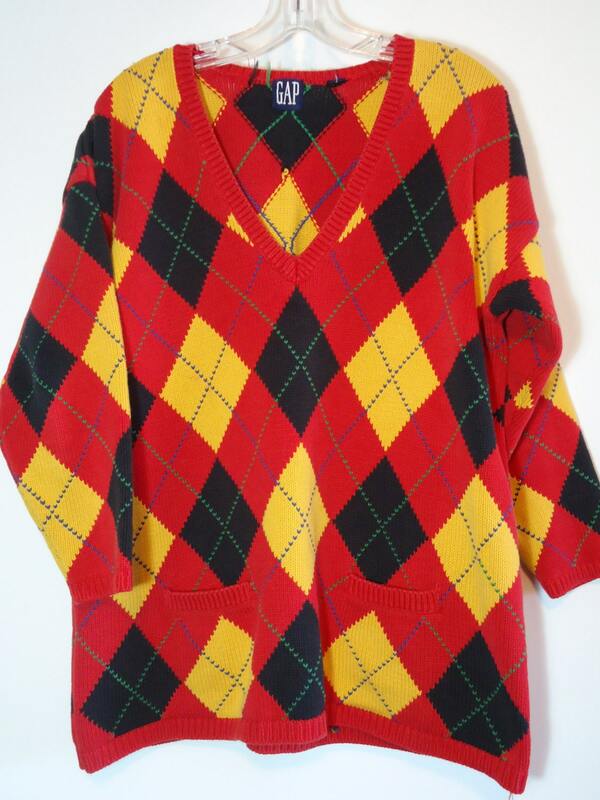 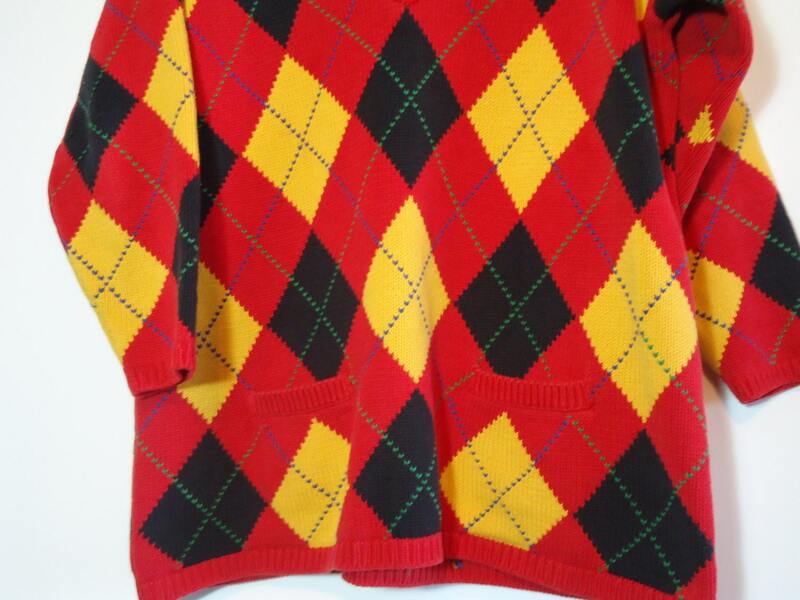 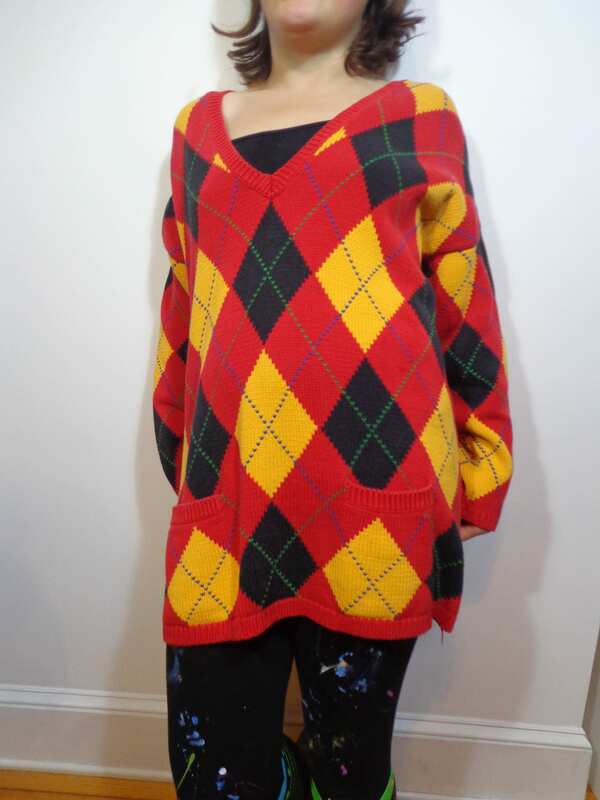 Totally Vintage 90s Gap Mall Fashion Bright Red Yellow and Navy Argyle Plaid Tunic Style Knit Sweater with front pockets & V Neck. 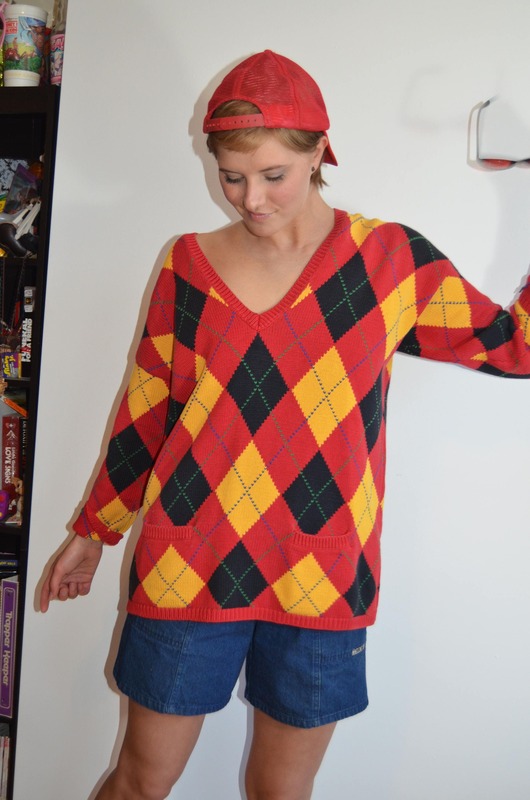 Classic Nineties Retro Preppy Style! 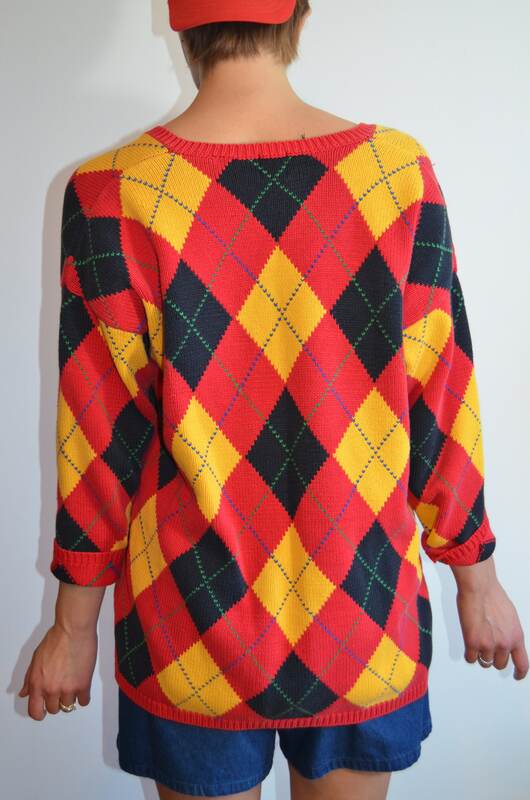 These are authentic real true vintage clothes from decades ago- take into consideration that makes this item rare, unique & perhaps one of a kind, there is only 1 of these available in our shop! 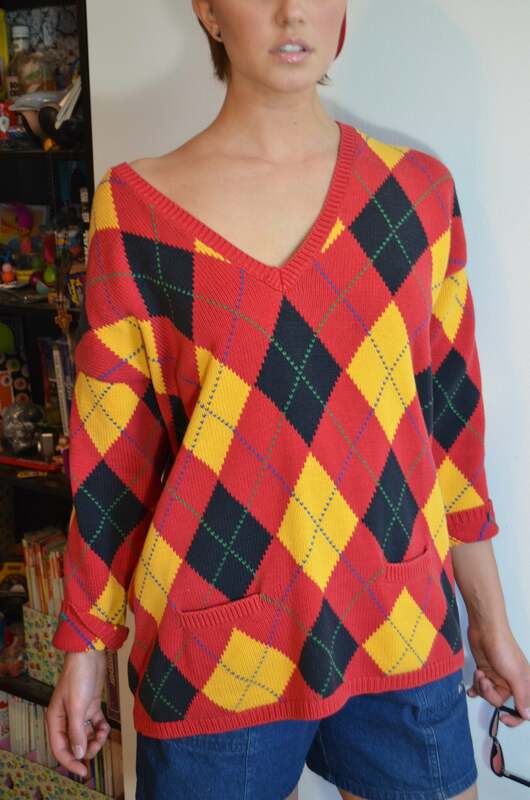 Please message for any further info & check out www.popwildlife.etsy.com for more great true vintage clothes for men & women!